Fr. 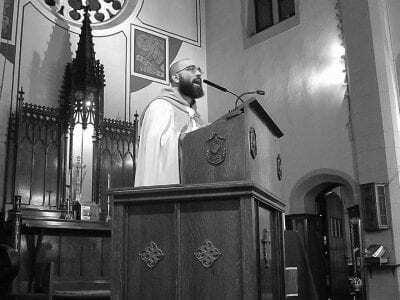 Salinas preached the need for Catholics to receive Christ’s forgiveness through the Sacrament of Confession, quoting Scripture “Whose sins you shall forgive, they are forgiven them.” —John 23:20 On Tuesday night nearly tw… Please login below or purchase a subscription to the Putnam County Courier to access this content. 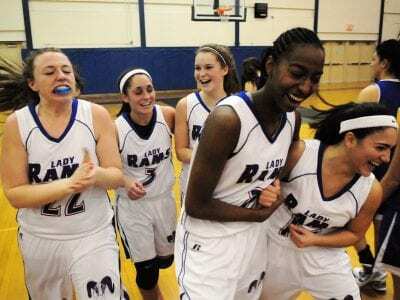 Above: The Lady Rams are all smiles after holding off a tough Lourdes squad in the Class AA quarterfinals last Wednesday at Carmel. Left: Carmel’s Brittany Horne heads to the basket in Rams win. CARMEL—The Carmel High girls basketball tea… Please login below or purchase a subscription to the Putnam County Courier to access this content. Kennedy’s Molly Brennen (12) battles for rebound in Gaels’ win over Westlake. SOMERS—Anyone watching the Kennedy Catholic girls basketball team in the first quarter of last Wednesday’s playoff game would have had a hard time b… Please login below or purchase a subscription to the Putnam County Courier to access this content. Carmel keeper Marc Glaviano was a wall for the Rams in playoff win. 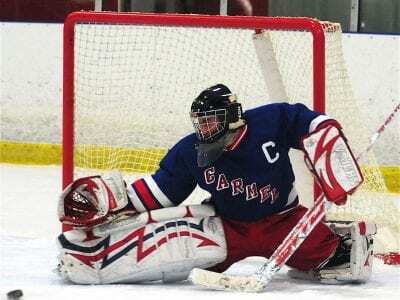 CARMEL—Two weeks ago senior Marc Glaviano picked up his first career shutout, and on Sunday he turned in an even more impressive performance. Glaviano finished with 46 saves… Please login below or purchase a subscription to the Putnam County Courier to access this content. The Mahopac Indians won their opening-round playoff game, and were set to play in the quarterfinals Tuesday. 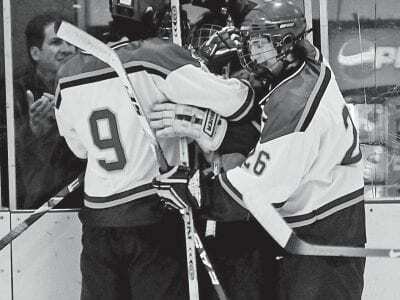 The Mahopac High School hockey team moved on to the Section 1 quarterfinals after defeating Mount Pleasant in a tight 2-1 victory at the Bre… Please login below or purchase a subscription to the Putnam County Courier to access this content. Kennedy’s Joe Smith finished with 15 points in loss to Spring Valley. SOMERS—The Kennedy Catholic High boys basketball team did everything it could in its quest to reach the Westchester County Center this week, but the Gaels fell just a f… Please login below or purchase a subscription to the Putnam County Courier to access this content. Emily Tapio and the Bears fell one win short of reaching the County Center for the second straight year. BREWSTER—Brewster coach Doris Schukin knew when she saw the seedings that the Peekskill Red Devils could very well be the main hurdle stand… Please login below or purchase a subscription to the Putnam County Courier to access this content. PUTNAM VALLEY—The John F. Kennedy/Putnam Valley high ice hockey team went up against Brewster last Wednesday, the game ended in a 4-4 tie. 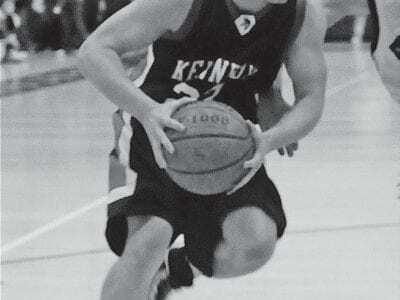 For Kennedy/Put Valley this game was simply a warm-up for the playoffs, they already clinched th… Please login below or purchase a subscription to the Putnam County Courier to access this content. BREWSTER—After earning a playoff spot in their final game of the season the Brewster High hockey team came up short in their bid to upset Sleepy Hollow/Irvington, losing 6-4 in the opening round of the Division II playoffs. 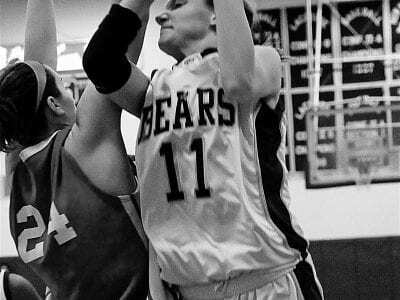 The Bears … Please login below or purchase a subscription to the Putnam County Courier to access this content.